Over the past few weeks, my girlfriend has changed from the sweetest person in the world to being cruel and cold-hearted. I've been nothing but a gentleman at all times, mind you, and have always treated her as a goddess. I took my time to woo her - leaving a red rose on her doorstep every day for a week before even introducing myself - because I'm a very romantic person. We've been together five months now and my passion hasn't waned. I draw her a bath with rose petals whenever she stays overnight, etc. Anyway, lately, she hasn't been herself. She doesn't seem to care when I write her a new poem or even bother to thank me for the flowers I send every week. Sometimes I'll phone her and she doesn't answer, I'll go by her house and I can see through her window that she's there. She'll never find anyone who treats her as well as I do so why is she avoiding me? This hurts me more than I can possibly describe. In my life I've had my heart broken time and time again but I know I've found the perfect girl for me this time, my soulmate. What can I do ? Help me, please ! I will just die if I lose her. If one could get tooth decay from saccharine prose I would have brushed after reading your letter ( as is, I only had to reach for an air sickness bag ). And you write her poetry too? Ouch. Nietzsche asserted that those things which don't kill us makes us stronger and when we look into an abyss, the abyss is also looking into us. But in your case, she was wrong, because that which hasn't killed you has only made you dumber. And the abyss isn't just looking back at you, it's got its legs wrapped around your head and has pulled you in so deep you can't see out of it. That abyss is your own denial of obvious reality. If you think ignoring your phone calls is "cruel and cold-hearted" then you've yet to plunge the shallowest depths of feminine unpleasantness. 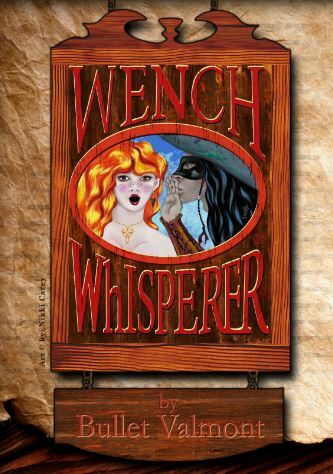 You have a nice wench here. So nice that she won't tell you the truth. But since you wrote to me, I'll tell you what the problem is. She can't stand your guts. She wants out. That's it. short and sour. Glad you asked. She's inhibited from telling you this because you've made quite clear that you'd be devastated and probably kill yourself over it. Her fear of your potential suicide or future stalkerdom has slightly outweighed her burden of enduring your presence ( for the moment ). She knows if she dumps you, you'll either of yourself in some pretentious way or be camping at her doorstep with flowers she doesn't want, shouting bad poetry up to her windows and otherwise embarrassing here. She is being cold to you because she wants you to end it., there assuring herself that you will actually go away once it's over. Since you're too dense t perceive her clear message though, she may give up on this strategy and come up with something more brutal. I would guess that when you're mother told you you were special, you misinterpreted what she meant, and neither are you likely to fathom why any wench wouldn't appreciate your awesomeness. so I will explain. The reason she doesn't value your grand romantic gestures is because they aren't worth anything. Why? Bullet Valmont has been Associate Editor of Mutiny Magazine since Issue #1. His columns include Wench Whisperer, The Newgate Gentleman's Club, and Pirate Envy. He is the founder of Revenge From The Sea and impressario of their popular Sea of Darkness tall ship cruise. He has been a script-writer, choreographer and performer for several pirate crews since 1993. Before Mutiny, he acted in films and television and wrote for Pirates Magazine. His current projects are the performance troupe Imagine Pirates, and a book version of Wench Whisperer.